He and his wife Yoselin have one son, Jordan, who was born in August of 2016... In 2017, Julio and his family started the Teheran Foundation in his native country of Colombia... The foundation provides activities and games, as well as financial support to children in need. Went 9-9 with a 3.94 ERA (77 ER/175.2 IP) and 162 strikeouts over 31 starts ... Made 30 starts for the sixth consecutive season, one of just five pitchers in the majors to do so...Teheran joined Mike Leake, Jon Lester, Max Scherzer and José Quintana as the only pitchers with 30 starts in every season since 2013 ... Since 2013 Teheran ranks fourth in the majors with 189 starts, and 11th in innings pitched (1,159.1) ... Allowed opponents to bat just .196 (122-for-623) against him on the season, the second-lowest mark in franchise history…Only Mike Foltynewicz, with a .195 mark in 2018, was lower ... Greg Maddux held the previous record with a .197 mark (147-for-748) set in 1995...Prior to 2018, Maddux was the only qualifying Braves pitcher to ever finish a season with a batting average against lower than .200 ... Since 1908, only three previous teams have had two qualified pitchers each finish with an average against below .200…The 1968 Cleveland Indians had three (Sam McDowell, Sonny Siebert, and Luis Tiant) while the 2015 Los Angeles Dodgers (Zack Greinke and Clayton Kershaw) and 1986 Houston Astros (Nolan Ryan and Mike Scott) had two ... Walked a career-most 84 batters, second most in the N.L ... The last Braves starter to issue more walks in a single season was Russ Ortiz, who walked 112 batters over 204.2 innings in 2004 ... Fanned Eduardo Escobar in the first inning, 9/8 at ARI, for the 1,000th strikeout of his career ... Became the ninth pitcher in franchise history to fan 1,000 in a Braves uniform... Of the previous eight, only five did so in baseball's modern era: John Smoltz (3,011), Phil Niekro (2,912), Warren Spahn (2,493), Tom Glavine (2,091) and Greg Maddux (1,828)... All five are Hall of Famers ... Hit the first home run of his career, 8/5 at NYM... Took Corey Oswalt out to left in the fifth inning, a solo shot ... Became the first Braves pitcher to homer since Jaime García hit a grand slam on 7/21/17 at LAD ... Held San Diego hitless over 6.0 innings, 6/17... Was the first hitless start of his career ... Became the sixth Atlanta pitcher (eight times overall) to not allow a hit in a start of at least 6.0 innings and the first since RHP Aaron Harang went 7.0 innings on 4/18/14 at NYM ... Fanned 11, becoming just the second Atlanta pitcher to strike out double digits in a no-hit outing…Kent Mercker fanned 10 in his no-hitter on April 8, 1994 at LAD ... Allowed 24 earned runs in the first inning, and logged a 6.97 ERA (24 ER/31.0 IP) in the first frame…Pitched to a 3.30 ERA (53 ER/144.2 IP) in the remaining innings ... Made his fifth consecutive Opening Day start, which set the Atlanta era (since 1966) record for a pitcher ... Only two other Atlanta pitchers (Greg Maddux from 1993-96 and Rick Mahler 1985-88) went four straight...Only Phil Niekro (8), Maddux (7) and Mahler (5) made at least five Opening Day starts in total for Atlanta ... The last Braves pitcher to make more than four consecutive Opening Day starts was Hall-of-Famer Warren Spahn, who started six straight Milwaukee openers from 1957-1962 ... Only two MLB pitchers have a longer active Opening Day start streak with his current team than Teheran: Seattle's Felix Hernandez (10) and the Dodgers' Clayton Kershaw (8) ... Is 1-1 with a 2.73 ERA (9 ER/29.2 IP) on Opening Day ... Made his second career postseason roster, and tossed 1.2 scoreless innings in Game 4 of the NLDS vs. LAD. Made a team-high 32 starts to become the first Braves pitcher to make 30 starts in five consecutive seasons since Greg Maddux went eight straight from 1996-2003...Is one of eight MLB pitchers with at least 30 starts in every season since 2013... Finished with 188.1 innings pitched and has tossed 185.0 innings in every season since 2013...Is one of four starters in the majors to accomplish that feat...Washington's Max Scherzer, San Francisco's Jeff Samardzija and Chicago's Jose Quintana are the other three... His 13 losses matched his career-high total, first set in 2014…Also set a career high with 31 home runs allowed, to become the fifth Braves pitcher to allow at least 30 homers in a season and the first since Chuck James (32) in 2007…Phil Niekro (41 in 1979; 40 in 1970; 30 in 1980), Horacio Ramirez (31 in 2005) and Denny Lemaster (30 in 1963) are the other three... Made his fourth consecutive Opening Day start on 4/3 at NYM...Went 6.0 shutout innings, but was left with a no-decision in the 6-0 loss... Teheran is 1-1 with a 1.88 ERA (5 ER/24.0 IP) on Opening Day...In Atlanta franchise history, only two other Braves pitchers have started four consecutive Opening Days (Greg Maddux from 1993-96 and Rick Mahler, 1985-1988)...Only two MLB pitchers have a longer active Opening Day start streak with his current team than Teheran: Seattle's Felix Hernandez (9) and the Dodgers' Clayton Kershaw (7)… The last Braves pitcher to make more than four consecutive Opening Day starts was Hall-of-Famer Warren Spahn, who started six straight Milwaukee openers from 1957-1962... Went 1-0 with a 0.95 ERA (2 ER/19.0 IP) over his first three starts of the season...Then went 6-10 with a 5.98 ERA (74 ER/111.1) and 28 home runs allowed over his next 20 starts, 4/19-8/8...Over his final nine games, compiled a 4-3 record and a 2.79 ERA (18 ER/58.0 IP), allowing just three home runs. • Finished 11-13 with a 4.49 ERA, his highest mark since becoming a full-time starter in 2013. Went 3-10 with a 5.86 ERA (61 ER/93.2 IP) in 17 games at SunTrust Park...Finished 8-3 with a 3.14 ERA (33 ER/94.2 IP) in 15 road games... Started the opening game at SunTrust Park, 4/14, and beat SD, 5-2 for his first win of the season... Allowed an earned run for the first time in 23.0 innings, surrendering two in the second inning... His run dated to the third inning in his start on 9/27/16... Lost nine consecutive decisions at home, from 4/19 to 8/19, following his win in SunTrust Park's inaugural game...His ERA over this span was 7.36 (51 ER/62.1 IP), while he allowed 10.83 hits per 9.0 innings and opposing batters to reach base at a .363 clip…The nine straight home losses set an Atlanta franchise record...Craig McMurty set the original mark at eight in 1984, before Shelby Miller matched the record in 2015... Record a career high-tying four-game winning streak immediately following a career-worst five game losing streak…Dropped five consecutive decisions, 7/17-8/19, over a seven-game stretch in which he compiled a 5.63 ERA…Then won his next four starts, 8/25-9/12, while pitching to a 2.08 ERA... Picked off four runners to tie for the team lead and tie for the fifth most in the majors…Since becoming a full-time starter in 2013, his 26 pickoffs lead the majors…The next closest righthanded pitcher, R.A. Dickey, has 15 in that time frame... Beat WSH for the first time since 4/5/14 on 6/14 at Nationals Park...Went 7.0 innings and allowed two runs, earned, over 7.0 innings...Stopped a nine-start winless stretch against Washington... Had been 0-3 during the nine-game stretch, with the Braves going 1-8 with eight consecutive losses…Beat WSH in his only two other 2017 starts against them at Nationals Park, tossing 7.0 shutout innings in both…Finished the season 3-1 with a 3.24 ERA (9 ER/25.0 IP) against the Nationals, carrying a 19.0-inning scoreless streak against them into 2018... Allowed a career-high nine runs in a 9-0 loss vs. TOR on 5/18. In his third full season, led the team in wins (11), while finishing tied for first in games started (33) and strikeouts (171). The team went 19-14 (.576) in his starts…Tossed 200.2 innings, his second consecutive season with at least 200 innings. Became the first Braves pitcher with back-to-back 200-inning seasons since Tim Hudson in 2010 and 2011. Ranked 12th in the NL in innings pitched…Walked a career-high 73, tied for the sixth most in the majors. Also allowed a personal-most 27 home runs, which tied for the seventh-highest total in the NL…Earned the Opening Day start for the second consecutive season, beating MIA, 2-1, on 4/6 at Marlins Park. Became the first Braves pitcher to be the Opening Day starter in back-to-back seasons since 2010 and 2011, when Derek Lowe did it. Full Name: Julio Alberto Teheran Bats: Right Throws: Right M.L. Service: 3.062 Height: 6-2 Weight: 205 Born: 1/27/91 in Cartagena, Colombia Acquired: Signed by the Braves as a non-drafted free agent on July 2, 2007. Contract Status: Signed through 2019, with an option for 2020. JULIO TEHERAN PITCHER 49 TEHERAN 30452 Braves Media Guide_164-230_Players-N-Z_r1.indd 204 3/21/16 11:16 AM 205 TEHERAN…Went 8-2 with a 2.89 ERA (35 ER/109.0 IP) in 17 games at home. Finished 3-6 with a 5.40 ERA (55 ER/91.2 IP) in 16 road games. Allowed 18 of his 27 home runs away from Turner Field…Compiled a 4.71 ERA and a 6-6 record through the end of July (21 games). From August through the end of the year, a span of 12 games, went 5-2 with a 2.95 ERA (25 ER/76.1 IP). He allowed more than three runs in a start only one time over that final 12-game span…His 1.91 September ERA (7 ER/33.0 IP) ranked fourth best in the NL and fifth lowest in the majors…Won his 10th game of the season with an 8-1 victory over PHI on 9/9 at Citizens Bank Park. Allowed one run over 7.0 innings. The win gave him double-digit victories in three straight seasons, the first Braves pitcher to do so since Tommy Hanson (four, 2009-12) and Tim Hudson (three, 2010-12)…Became the 19th pitcher in Atlanta-era franchise history to make 100 starts with the team when he beat St. Louis, 4-0, at home in his season finale, 10/2…Allowed a career-high eight runs twice, each time over 4.1 innings. He lost 8-0 on 5/26 at LAD and then suffered a 20-6 defeat on 8/30 vs. NYY…Fanned a career high-tying 11 over 7.0 innings in a 3-1 loss on 7/22 vs. LAD. It was his fourth 11-strikeout game and his sixth with double-digits…Surrendered a career-most four home runs on 4/17 at TOR. Received a no-decision in the 8-7 win…Gave up career-high 13 hit on 6/16 at BOS. Also surrendered 10 hits three times, after entering the season allowing double-digit hits four times total in his career…Picked off five runners, tied for the fifth-most in the majors and tied for the second-most among righthanded pitchers…Went 0-3 with a 9.24 ERA (26 ERA/25.1 IP) in five interleague starts. Finished 11-5 with a 3.29 ERA (64 ER/175.1 IP) in 28 games against the NL. Led the team in starts (T1st, 33), quality starts (T1st, 25), innings pitched (221.0), wins (T1st, 14), complete games (4), WHIP among starters (1.08) and opponents' average among starters (.232). His 221.0 innings pitched ranked third in the National League and seventh in the majors. He reached the200-inning plateau for the first time in his career. Named to his first All-Star team after being selected on the player ballot, did not appear in the contest. His 25 quality starts ranked tied for sixth in the majors and tied for second in the NL. His 2.89 ERA ranked 19th in the majors and 13th in the NL. His .232 opponents' batting average rankedsixth in the NL and 10th in the majors. Prior to his start on 6/11, his 1.89 season ERA led the majors. Ranked eighth in the majors with a 2.11 ERA at home. His .214 opponents' batting average at homeranked ninth in the NL. Had a 3.68 ERA and .249 opponents average on the road. Became the first Braves pitcher to post two shutouts in a season (4/16 & 5/20) since Greg Maddux hadthree in 2001. At 23 years old, he became the first Brave with two-or-more shutouts in a season beforehis 25th birthday since Steve Avery in 1992 at age 22. Tossed his first career complete game and first career shutout on 4/16 at PHI, a 1-0 victory. He was perfect through 4.0 innings and faced just three batters over the minimum. Tossed his fourth complete game of the season on 9/13 at TEX and became the first Braves pitcher torecord at least four complete games in a season since Greg Maddux (6) and Tom Glavine (4) in 2000. Lost back-to-back decisions in the majors for the first time in his career on 5/3 vs. SF and 5/14 at SF(ND on 5/9 vs. CHI in between losses). His run support average of 3.58 (88 runs/221.0 IP) ranked as 12th-lowest in the NL. Agreed to terms on a six-year contract through 2019 with an option for 2020 on 2/14. Enters 2014 as the 16th-best prospect in the Braves organization, according to Baseball America. Tabbed by Baseball America as owning the best fastball among Braves farmhands. Named by the Braves as Rome's (A) Pitcher of the Year after logging 24 saves with a 1.49 ERA (7 ER/42.1 IP) before earning a promotion to Mississippi (AA) on 8/6. Combined to go 1-1 with a 1.69 ERA (10 ER/53.1 IP) between the two levels, surrendering just 31 hits while striking out 81. His 24 saves led the organization and ranked second in the South Atlantic League, despite spending his final month in the Southern League. Struck out a season-high five batters in a 2.0 inning save on 5/2 vs. Greenville. Went 27 consecutive games (5/23-8/11) without allowing an earned run, logging 42 strikeouts in 27.1 innings over that stretch. Made nine appearances with the Scottsdale Scorpions of the Arizona Fall League, pitching to a 0.90 ERA (1 ER/10.0 IP). Enters 2013 as the top prospect in the Braves organization by Baseball America. Led Gwinnett in wins (7) for the second straight year. Finished among Gwinnett team leaders in starts (2nd, 26), innings (2nd, 131.0), strikeouts (2nd, 97) and "quality starts" (2nd, 9). Called up to Atlanta on 9/4, his first recall since 6/10. Pitched once in October, throwing 2.0 scoreless IP. Led all International League pitchers in hit batters (15) and ranked T-4th in the IL in home runs allowed (18). Picked off a Gwinnett-high 11 baserunners, but caught just 1-of-12 attempting base stealers (8.3%). 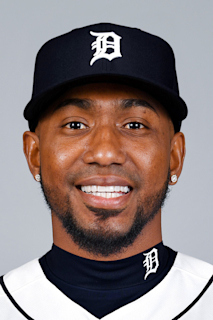 Appeared in seven games (all starts) for Tigres del Licey of the Dominican Winter League and went 2-1 with a 3.23 ERA while fanning 24 over 30.2 innings pitched. Entered 2012 as the top Braves prospect by Baseball America. Entered 2012 as the top prospect in the Braves organization by Baseball America...Was named by the Braves as the top organizational pitcher for the second straight year (2010-11)...Recognized by Baseball America as having the best fastball and best changeup in the Braves farm system...Was named the International League's 2011 Most Valuable Pitcher, Rookie of the Year and starting pitcheron the IL's Postseason All-Star Team...Was the starting pitcher for the 2011 XM MLB All-Star Futures Game in Arizona...Made his Major League debut on 5/7 at PHI (4.2 IP, 4 H, 3 ER, 1 HR, 2 BB, 1 K) in a 3-0 loss. Enters 2011 as the top prospect in the Braves organization by Baseball America...Recipient of the 2010 Atlanta Braves Phil Niekro Award (awarded to the top organizational pitcher)...Recognized by Baseball America as having the best fastball in the Braves farm system...Was named to Baseball America's 2010 Minor League All-Star Team and was selected as the top prospect in the Carolina League...Went 9-8 with a 2.59 ERA in 24 starts between Rome (A), Myrtle Beach (High-A) and Mississippi (AA)...Ranked among the top 10 in several organizational rankings, including wins (T4th, 9), innings pitched (7th, 142.2), strikeouts (2nd, 159), ERA (2.59), and WHIP (3rd, 1.04)...While playing for Myrtle Beach, posted single-game strikeout totals of 12 (5/19 at WS), 14 (5/31 at FRE) and 12 (6/16 vs. POT)...While with Mississippi, tossed a combined no hitter (5.2 IP, 3 BB, 7 K) with Tyrelle Harris on 8/2 vs. MOB...Participated in the 2010 XM Futures Game as a member of the World Team (1.0 IP, 2 BB, 1 K)...Was named to the Carolina League Mid-Season All-Star team and garnered Pitcher of the Week honors in both the Carolina (6/21) and Southern (8/09) Leagues...Was selected as the organization's Pitcher of the Month for May with Rome (2-0, 0.43 ERA, 4 BB, 24 K) and August Pitcher of the Month for Mississippi (2-1, 2.37 ERA, 11 BB, 30 K). Rated the 34th-best prospect in the minor leagues according to MLB.com and he was the 63rdrankedplayer by ESPN.com...Started a combined 14 contests going 3-4 with a 3.65 ERA between rookie-levelDanville and Rome (A)...Selected by the Atlanta organization as the D-Braves July Pitcher of the Month (2-1,2.55 ERA)...Entered 2010 as Baseball America's top prospect in the Appalachian League and the third-bestprospect in the Braves organization. Made six starts and went 1-2 with a 6.60 ERA in first professional season with rookie-levelDanville...Won first start of his career on 6/18 vs. BUR (5.0 IP, 5 H, 3 R, 3 ER, 3 K)...Following the season, wasrated the ninth-best prospect in the Atlanta organization by Baseball America. Rated the 10th-best prospect in the Braves farm system by Baseball America. 16 de junio de 2018 Atlanta Braves activan a RHP Julio Teheran. 5 de junio de 2018 Atlanta Braves ponen a RHP Julio Teheran on the 10-d&iacute;a lista de deshabilitado. Right thumb contusion. 19 de agosto de 2016 Atlanta Braves activan a RHP Julio Teheran de la 15-d&iacute;a lista de deshabilitado. 14 de agosto de 2016 Atlanta Braves envian a RHP Julio Teheran una asignaci&oacute;n de rehabilitaci&oacute;n a Gwinnett Braves. 2 de agosto de 2016 Atlanta Braves ponen a RHP Julio Teheran on the 15-d&iacute;a lista de deshabilitado retroactivo al July 31, 2016. Right lat strain. 14 de octubre de 2012 RHP Julio Teheran asignado a Tigres del Licey. 7 de octubre de 2012 Atlanta Braves activan a RHP Julio Teheran. 4 de septiembre de 2012 Atlanta Braves llamado Julio Teheran de Gwinnett Braves. 11 de junio de 2012 Atlanta Braves opcionado Julio Teheran para Gwinnett Braves. 10 de junio de 2012 Atlanta Braves llamado Julio Teheran de Gwinnett Braves. 2 de abril de 2012 Atlanta Braves opcionado Julio Teheran para Gwinnett Braves. 3 de septiembre de 2011 Atlanta Braves llamado Julio Teheran de Gwinnett Braves. 19 de mayo de 2011 Atlanta Braves opcionado Julio Teheran para Gwinnett Braves. 18 de mayo de 2011 Atlanta Braves llamado Julio Teheran de Gwinnett Braves. 18 de mayo de 2011 Julio Teheran estado en la lista cambian a por Atlanta Braves. 8 de mayo de 2011 Atlanta Braves opcionado Julio Teheran para Gwinnett Braves. 7 de mayo de 2011 Atlanta Braves seleccionado el contrato de Julio Teheran de Gwinnett Braves. 3 de abril de 2011 Julio Teheran asignado a Gwinnett Braves de Mississippi Braves. 2 de febrero de 2011 Atlanta Braves invitado fuera del roster RHP Julio Teheran para spring training. 23 de julio de 2010 Julio Teheran asignado a Mississippi Braves de Myrtle Beach Pelicans. 14 de mayo de 2010 Julio Teheran asignado a Myrtle Beach Pelicans de Rome Braves. 4 de agosto de 2009 Julio Teheran asignado a Rome Braves de Danville Braves.